Medicare is a health-care benefit provided by the federal government to individuals over age 65, or under age 65 and disabled. Medicare covers doctor visits, tests and care provided in a hospital and limited benefits in a nursing home (see below). Medicaid is health insurance for those with limited assets. To qualify, you must not exceed certain income and asset limits. If your income or assets exceed the qualifying limits, you will not be eligible. There is no age restriction to qualify. There are ways to preserve assets and still qualify for Medicaid. You won’t get all the information you need from DHS. Its best to consult with and Elder Law Attorney for the best Information. 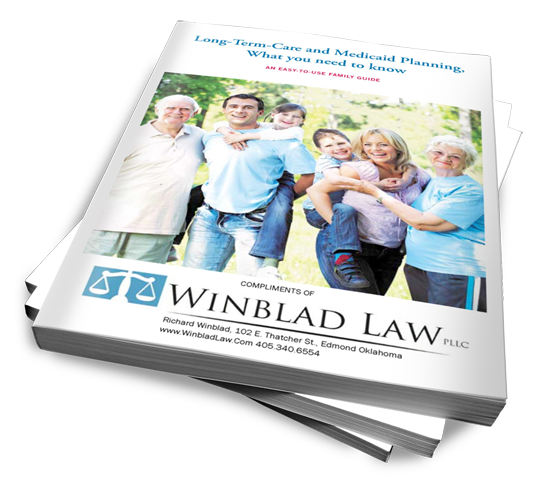 You can download your Long-Term Care Medicaid Booklet Here. To qualify for Medicare, you must be over 65, and eligible for Social Security benefits. You may also qualify if you are under age 65 and have been disabled for two years. An application at the Social Security office will get your benefits started. To qualify for Medicaid, you must submit a multiple-page application and provide detailed proof of all your financial transactions (banking, CDs, stocks, bonds, income, expenses, annuities, etc.) for the previous 60 months. Qualifying for Medicaid. Medicare will only pay for 20 days in a nursing home (in limited circumstances, it can pay the partial cost of 80 additional days) while Medicaid will pay the entire cost of a nursing home. The laws around Medicaid qualification are extensive, and there are many exceptions. Often, hospitals and nursing homes will offer to do an application for you at no cost. Be careful, they do not represent you, but rather, the institution for which they work. Even with the best of intentions, they often do not have the legal knowledge necessary to determine whether or not your qualification is accurate. This is where a legal professional can really be of value and oftentimes, be able to get you benefits much sooner. Workshops, a great way to learn more. Wartime veterans, their spouses or widows may also qualify for a Pension to help with medical, assisted living or nursing home costs. Read more. Is a Tithe or Giving to the Church a Medicaid No No?